A compact, modular control pack for underfloor heating systems up to 3kW. A compact, modular control pack for underfloor heating systems up to 3kW. Designed to be lightweight and compact in order to connect directly onto pipework without the need for extra brackets or support. 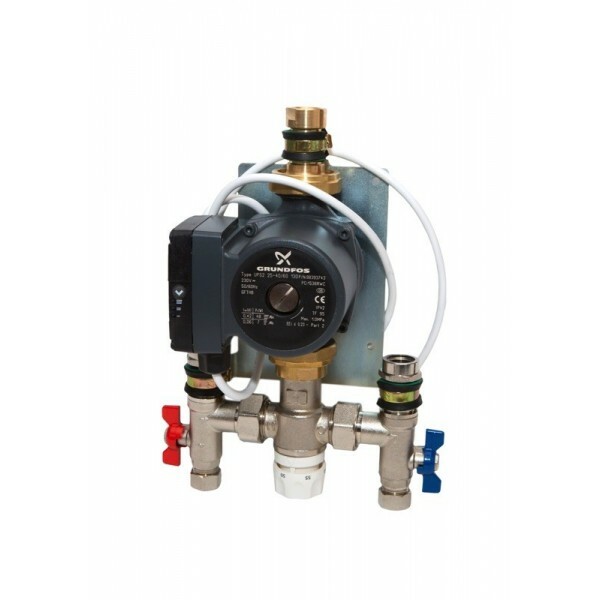 The control pack consists of a mixing valve, circulating pump, isolating valves, flow and return connections and fixing kit.